Yesterday we celebrated Greek Easter with a meat feast, we have been doing the Lent since March, so it was lovely to enjoy a nice BBQ after such a long time. We have tried some meat of The Butcher’s Selection by Asda, washed down by Extra Special Ale. 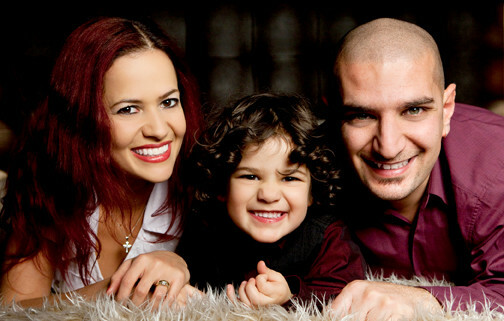 It all made our Greek Easter celebrations really special! I am more of a wine girl, but hubby loves beers and ales, especially when the weather is nice and warm. 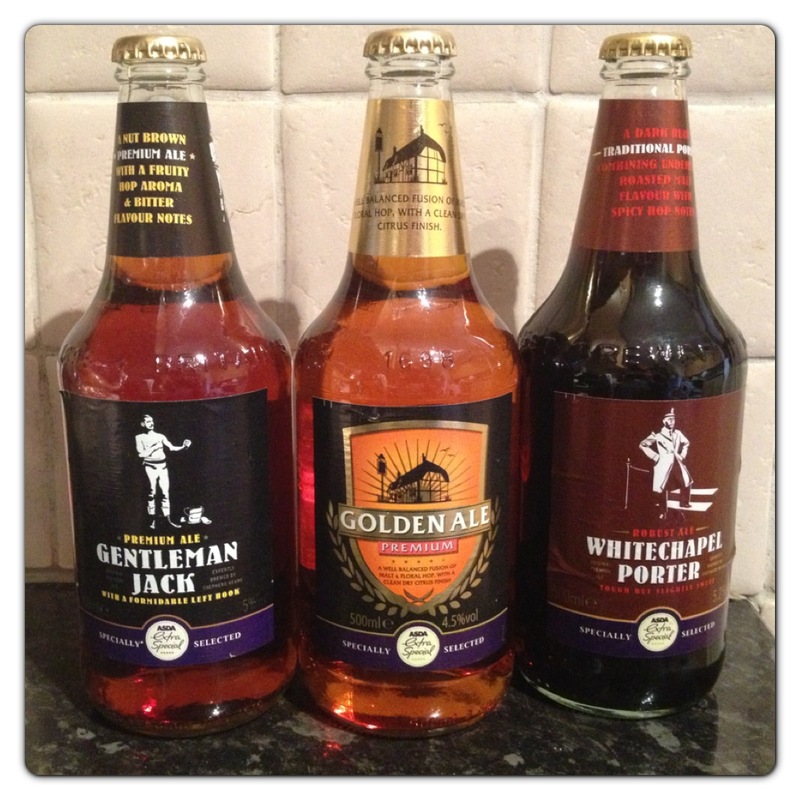 At the moment, you can get 3 for £5 ales at Asda such as Extra Special Gentleman Jack Ale, Extra Special Golden Ale and Extra Special Whitechapel Porter Ale. Extra Special Gentleman Jack Ale is a nut brown premium ale with a fruity hop aroma and bitter flavour notes. A pleasing ale with hidden strength. It is an original premium ale with a formidable left hook, which tastes like a malty, hoppy satisfying ale. Extra Special Golden Ale is a well balanced fusion of malt and floral hop, with a clean dry citrus finish. It is refreshing and tasty. Extra Special Whitechapel Porter Ale is a dark ruby traditional porter combining underlying roasted malt flavour with spicy hop notes. It is a robust, original premium ale, tough but slightly sweet. It tastes of a well balanced fusion of malt and floral hop, with a clean dry citrus finish. 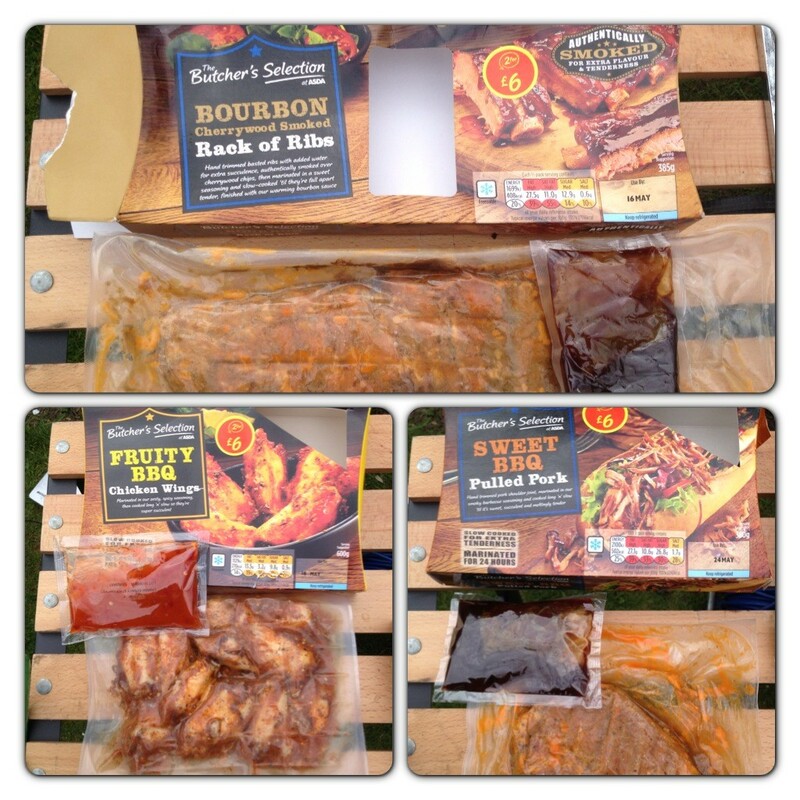 The Butcher’s Selection at Asda (2 for £6) is their new mouth watering range of pulled pork, ribs, briskets and wings. You can cook it in the grill, oven and BBQ. Although the guidelines suggest to oven roast or oven cook thoroughly and finish off on the barbeque, we cooked our meat just in the BBQ for our Greek Easter meat feast. Butcher’s Selection Bourbon Cherrywood Smoked Rack of Ribs are hand trimmed ribs with added water for extra succulence, authentically smoked over cheerywood chips, then marinated in a sweet seasoning and slow-cooked until they’re fall apart tender, finished with a warming bourbon sauce. 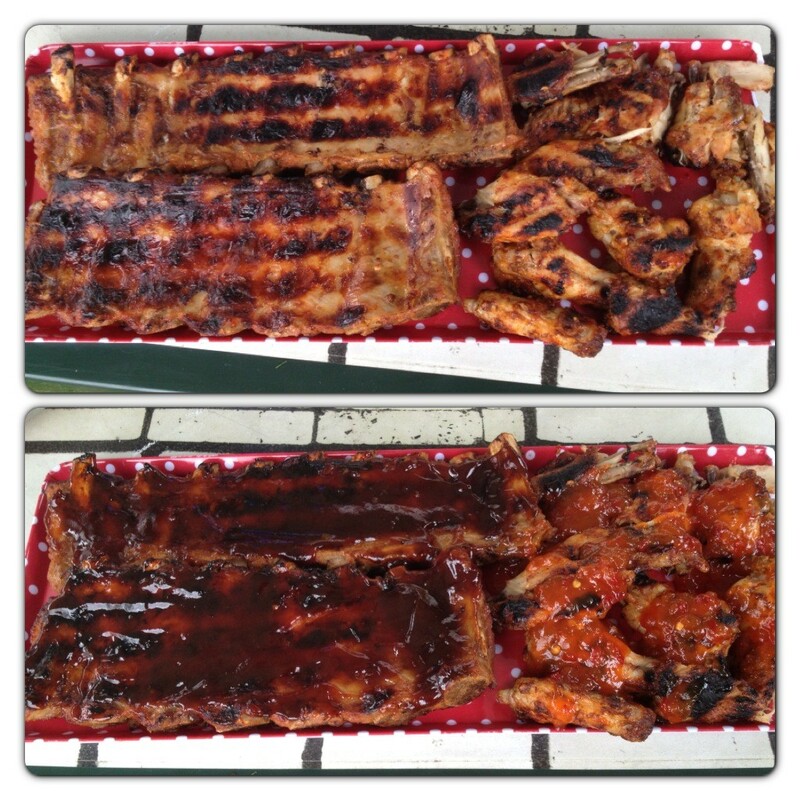 Once the pork ribs were cooked, it was coated with the sachet of bourbon barbeque sauce and thoroughly enjoyed by everyone. It was extremely tasty! Butcher’s Selection Fruity Orange Chicken Wings are marinated in a zesty, spicy seasoning then cooked long ‘n’ slow so they’re super succulent. The sachet of orange and lemon sauce complimented the taste of the slow cooked chicken wings, they were full of flavour. 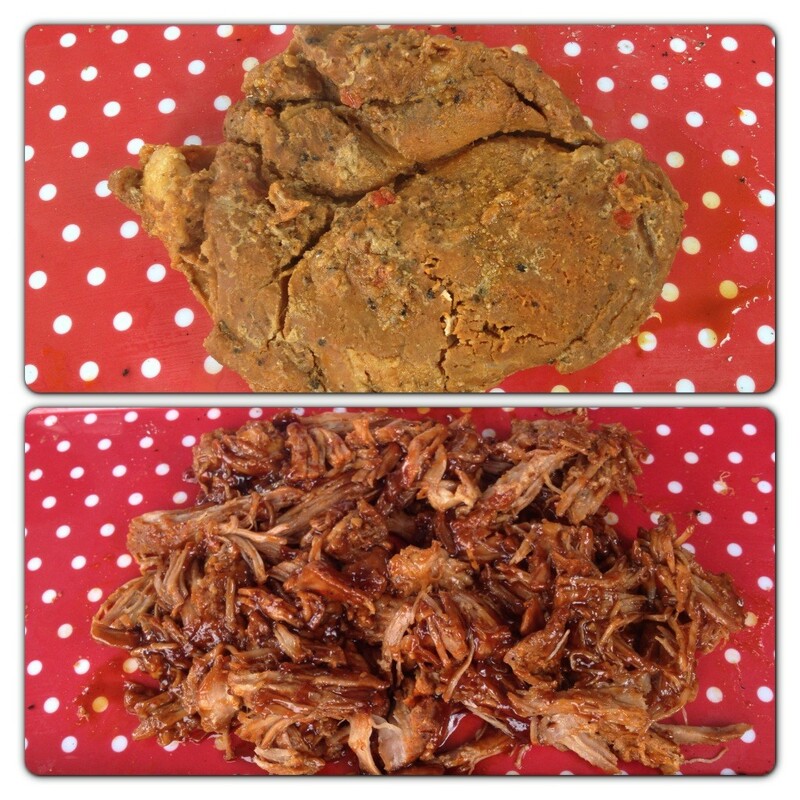 Butcher’s Selection Sweet BBQ Pulled Pork is a hand trimmed pork shoulder joint, marinated in a smoky barbeque seasoning and cooked long and slow until it is sweet, succulent and meltingly tender. These ribs are slow cooked for extra tenderness and marinated for 24 hours. The boneless pork shoulder joint was cooked covered in foil in the BBQ, then shredded and coated with the sachet of honey barbeque sauce, it was mouth-watering and very tender. Overall, we thoroughly the Extra Special Ales and The Butcher’s Selection from Asda. The ales were refreshing and the meat was easily cooked, since they were already marinated and seasoned, and they came ready with a sauce on the side to bring the most out of the meat. The Butcher’s Selection will be our choice for our next BBQs throughout the summer. We are looking forward to the BBQ season that has only just started – the gorgeous food and lovely chats in the sunshine. 3 Responses to "Perfect Summer BBQs by Asda"